It appears that the outcry expressed over executive compensation at the USPO will have an impact on future bonuses and compensation at the USPO. 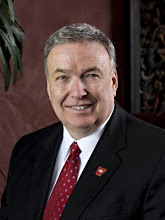 However, as reported in the following update, the Postmaster General John E. Potter will keep his 2010 bonus and $5.5 million retirement. "Such a country" - rewarding failed performance. Of course this outcome can be expected under the Obama administration mantra of "jobs were saved" - government jobs! Tags: USPO, United States, Post Office, postmaster general, golden parachute, income, retirement, performance bonuse, inefficient operations To share or post to your site, click on "Post Link". Please mention / link to the ARRA News Service. Thanks! The documents below clearly show the meaning of Thanksgiving as intended by the nation's Founders. Today in most public schools God is not mentioned and Thanksgiving becomes a historical event rather than a Christian celebration of thanks to God. Please pass the document links on to others or print them out for distribution. Observation: This year, unlike his 2009 proclamation, President Obama does mention the gifts of a gracious God: "As Americans gather for the time-honored Thanksgiving Day meal, let us rejoice in the abundance that graces our tables, in the simple gifts that mark our days, in the loved ones who enrich our lives, and in the gifts of a gracious God. Let us recall that our forebears met their challenges with hope and an unfailing spirit, and let us resolve to do the same." Tags: 2010, ARRA News Service, Thanksgiving To share or post to your site, click on "Post Link". Please mention / link to the ARRA News Service. Thanks! Joe Wurzelbacher, aka Joe the Plumber. Bill Smith, Editor: The below article on BigGovernment.com addresses actions by government officials to smear the name of a private citizen who was basically unknown outside of his circle of friends and clients before candidate Barack Obama appeared on his street campaigning. That citizen was Joe Wurzelbacher, now known to most of us as “Joe the Plumber.” Joe was vaulted into the lime light when he was recorded by news services asking then presidential candidate Barack Obama a question. The article caught my attention for two reason. 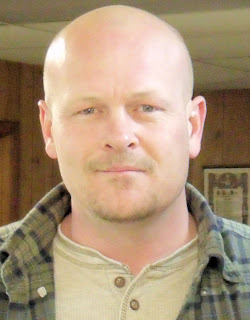 First, I met and spend time alone interviewing "Joe the Plumber" when he was supporting a candidate for US Senate. The photo on the right was taken at the time. Joe made it clear that he was not being paid for his endorsement and support. He also identified that he was not only supporting and endorsing the Republican candidate that day but that he was also supporting a Democrat candidate in another state. Even though I didn't agree with his second endorsement, I liked Joe because he was listed his requirements of what he expected from people running for office. Also, unlike most political supporters, he said why he was there, he opened the floor to the people to question both him and the candidate. Second, what happened to Joe Wurzelbacher, if left unaddressed, opens the door for all citizens to be subjected to a smear campaign by government officials for merely questioning a politician. A federal district court (erroneously in our view) dismissed Joe’s claims. Judicial Watch lawyers have since filed an appeal for Mr. Wurzelbacher in the United States Court of Appeals for the Sixth Circuit. Ultimately, review of the issues in this case is important, not just to hold these state officials accountable for this abuse of their power and the harm inflicted on Mr. Wurzelbacher, but because it goes to the heart of free expression and political participation in this nation. Private citizens should not have to worry whether their letter, phone call, or simple question to a political candidate will cause them to be targeted for investigation. Mr. Wurzelbacher and all Americans should have the freedom to openly participate in their government without fearing reprisal from partisan government officials. This exchange between Obama and Mr. Wurzelbacher “went viral,” exploding into the news and on the web, garnering significant public attention. In fact, the exchange even made its way into the third presidential debate held on October 15, 2008. Clearly, “Joe the Plumber” had struck a raw nerve with the Obama campaign. People saw the president’s comments for what they were: an endorsement of socialism. And Barack Obama was both embarrassed and on the defensive just weeks before the election. Well, just days after Mr. Wurzelbacher asked his question the three highest ranking employees of the Ohio Department of Job and Family Services at the time – who all just happened to be supporters of Obama – launched a dirt-digging expedition to try to smear “Joe the Plumber.” They instructed staff to access confidential office databases to retrieve sensitive information about Mr. Wurzelbacher, in an effort, it seems, to punish him for daring to question candidate Obama. Mr. Wurzelbacher’s suit was filed on March 5, 2009. And on August 4, 2010, the United States District Court for the Southern District of Ohio granted the defendants’ motion to dismiss the lawsuit, prompting the appeal. There are two constitutional rights at issue here: The First and Fourteenth Amendments. The lower court does not dispute points 1 and 3. However, the court ruled that Mr. Wurzelbacher did not effectively plead an “adverse action.” Judicial Watch disagrees. As alleged in detail in our brief, “the knowledge of Defendants’ improper investigation, prompted by Mr. Wurzelbacher’s First Amendment activities, caused him to suffer ‘emotional distress, harassment, personal humiliation, and embarrassment.’” Such injuries have been determined valid and compensable by court precedent (including precedent set by the U.S. Supreme Court). This is an important lawsuit, especially as the Obama administration continues to compile an “enemies list” and to retaliate against those who disagree with its now all too apparent socialist agenda. Tags: First Amendment, fourteenth amendment, Joe the Plumber, Joe Wurzelbacher To share or post to your site, click on "Post Link". Please mention / link to the ARRA News Service. Thanks! By Chris Slavens, Guest Author: The average price of a gallon of gasoline is $2.87, a number which will continue to climb as the Federal Reserve’s “quantitative easing” scheme lowers the value of the dollar. That’s a 50% increase from only two years ago; in the weeks following the presidential election, the average price was about a dollar lower. But according to some Democrats, today’s price isn’t high enough. Senator Thomas “Tom” Carper (Democrat-DE) wants to raise the federal gasoline tax by twenty-five cents over a period of two years, increasing the current rate—18.4 cents per gallon—by 136% to 43.4 cents per gallon. The last time the tax went up, in 1993, it was increased by a mere 4.3 cents. Has Carper filled up recently? Does he drive? Or are his vehicles powered by pixie dust and wishes? The senator travels to Washington, D.C., by train regularly, so perhaps he can be forgiven for apparently forgetting that most Americans are already feeling pain at the pump, and will continue to struggle to afford fuel even without a mind-blowing 136% tax increase. Then again, he might not be forgiven. With the exceptions of Wilmington, Dover, and a handful of overdeveloped beach towns, Delaware is a rural state. It’s not uncommon for residents to drive twenty miles to work, and in many cases “work” consists of serving summer visitors, as tourism is vital to the First State’s economy. One could almost believe that Carper is intentionally trying to anger his constituents, who will have an opportunity to reelect or fire him in less than two years. Democrats defend the proposed increase by arguing that revenue must be generated somehow, somewhere, so why not at the tens of thousands of gas stations across the United States? Their feeble argument reflects their thorough disconnection from the people they pretend to serve. The T-E-A in Tea Party stands for “Taxed Enough Already,” and the results of the recent election can only be interpreted as an unsubtle backlash against big government and tax-and-spend policies, yet still Democrats (and, curiously, some Republicans) insist on raising revenue to fund a predetermined budget. While working families scrounge and cut back, the government spends their hard-earned wealth freely—which is one of several reasons that the country entered a recession in the first place. The federal government does not have a revenue problem. It has a spending problem. In the real world, a household earns a certain amount, and bases its budget on that income. Why should Congress be above such a common-sense approach to handling finances? The Democrats’ gas tax hike is not only utterly unnecessary; it will harm a vast majority of Americans, stifle the recovery and growth of businesses big and small, and possibly derail efforts to rejuvenate the economy. Americans expect to see unfeigned efforts to cut spending, eliminate unnecessary agencies and programs, and reduce the seemingly infinite reach of the federal government, and while only an imbecile would believe that this can happen overnight, the average voter is not so naïve as to be fooled by half-hearted attempts to alter minor details of the progressive agenda, like rearranging the deck furniture on a sinking ship. Fundamental, far-reaching reform is craved, which is why a proposal to do the opposite—to raise taxes for no reason—seems more like a poorly-timed joke than a serious suggestion. Obama said that electing Democrats would be like putting a car in “D,” to drive forward. He just neglected to mention how expensive driving would be with his party behind the wheel. Tags: Chris Slavens, U.S. Senate, Tom Carper, federal gas tax, Tea Party, Congress, Barack Obama To share or post to your site, click on "Post Link". Please mention / link to the ARRA News Service. Thanks! by William Warren: My latest cartoon makes a joke about Obama going through the full body TSA scanners. Tags: Barack Obama, Empty Suit, Political Cartoons, TSA, TSA Body Scanner To share or post to your site, click on "Post Link". Please mention / link to the ARRA News Service. Thanks! Finally - A great alternative to TSA body scanners at airports . . ..
You're in the airport terminal and you hear a muffled explosion. Shortly thereafter an announcement comes over the PA system . . . "Attention standby passengers we now have a seat available on flight number XXXX. Shalom!" Ozark Guru: The above was posted as humor; but it does seems that some techno geek could come up with this type of approach. And don't give me, "terrorists or stupid people carrying, consuming or putting explosive devises in their body cavities have rights." Terrorists and / or stupid people with explosive devises attempting to or even flying have cost us enough: lives, time, money, economic disruption, anxiety and expansion of government intrusion. But in all honesty, what I am most unforgiving of the terrorist for is their being responsible for the present sanctioned big government TSA actions to be able to fondle - make sexual contact - or take, record and view pornographic images of my 3 young granddaughters, 2 young grandsons, my daughter-in-laws and my wife. Does anyone else see a conflict? 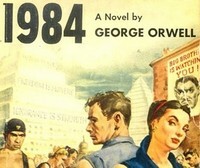 Warrantless wiretaps of foreigners was bad but fondling and pornographic imaging of a free and independent American citizens (our family, friends, and neighbors) by the U.S. Government is okay. Sending military to a Afghanistan where many Afghans do not know about 9-11 due to lack of communications and see us as invaders like the previous British and Russians armies is okay, but putting military on the U.S. border to stop all infiltrating illegals - many of whom are terrorists and criminals - is bad. Water boarding suspected foreign terrorists and requiring them to be tried by military tribunal is bad. But fondling or naked imaging of our grandchildren, our children, our spouses, active duty military, veterans, fire fighters, law enforcement, government workers (many with clearances far above any TSA employee), civic and community leaders, pastors, priests, rabbis, imams, teachers, professors, doctors, nurses, business owners, elected officials (except of course those flying Air Force One, Two and Pelosi's jet) members of Congress, Judges, Governors, attorney generals, Mayors, etc. is okay. Calling a lie the truth does not make it true. Tags: humor, TSA, airport, body scanners, terrorists, airport security, Israel, truth, 1984, To share or post to your site, click on "Post Link". Please mention / link to the ARRA News Service. Thanks! With only a modicum of additional training – perhaps one additional day – TSA agents can be trained to perform dozens of preventative healthcare screenings, with only the slightest additional intrusion and inconvenience to airline passengers. And again, so much more! ID documents can be required to include inoculation and vaccination information. If a passenger hasn’t had their flu shot for the season, wham, it’s done right there on the spot. And dip tanks can be added to the security line for people who are discovered to have STDs. Millions, yeah, probably billions can be saved annually just on doctors’ office visits and trips to emergency rooms. Imagine the savings, and this is just the beginning! Passengers discovered to have expensive medical problems can be “weeded out” on the government’s national digital medical records database. Think of the $billions the government can then save on single payer healthcare plans. We could probably cover hundreds of thousands more illegal aliens. And what a boon to the airlines. They can offer free medical exams when we buy a ticket. (Well, for a limited time only, then there would have to be an additional charge, except at Southwest Airlines, of course.) Our medical insurance could offer us the choice of (1) an annual physical at our doctor’s office or (2) a free airline ticket to grandmother’s house during the holidays. Of course, this plan will produce such enormous reductions in American healthcare costs, these full body scanner and full body pat downs will have to be migrated to trains, and subways, and federal buildings, and…gosh, where would we have to stop? They who can give up essential liberty to obtain a little temporary safety, deserve neither liberty nor safety. – Benjamin Franklin in Memoirs of the life and writings of Benjamin Franklin (1818). Tags: Curis Coleman, TSA, government and business, health care reform, national security To share or post to your site, click on "Post Link". Please mention / link to the ARRA News Service. Thanks! by William Warren: My latest cartoon takes a look at the situation with the TSA. Tags: Liberty, Political Cartoons, Transportation Security Administration, TSA, William Warren To share or post to your site, click on "Post Link". Please mention / link to the ARRA News Service. Thanks! Sixteen years ago, Barb started Black Eyed Susan -- her store of hard-to-find garden and home accessories -- to fulfill her passion, to have a positive impact on a community, and to enjoy a lifestyle of freedom. Today, Barb may close the doors on what she loves to do. In an already difficult environment for small business, government-augmented uncertainty threatens to raise the cost of Barb's retail business to unbearable levels. Specifically, the little-known 1099 provision in the healthcare reform bill would burden her so that much she might stop doing business. As Barb says in the video, "I hope when I close the doors to this store...it's because I decided it's just time to move on...not because I felt like my hand was forced." Barb's story is Part 2 of our documentary series "The Story of Business," a joint project of Public Notice and the Small Business and Entrepreneurship Council. - Check out Part 1, "Moving forward in uncertain times," a story about a limestone crushing business's future amidst the possibility of rising costs and ever-changing rules. Tags: Bankrupting America, The Story of Business, Public Notice, SBEC, business, small business, uncertainty, government, economic policy, healthcare, 1099 provision To share or post to your site, click on "Post Link". Please mention / link to the ARRA News Service. Thanks! Constitutional Convention - Not A Good Idea! Dr. Bill Smith: The following email has been making the rounds as a ruse to take America off track and to open our Constitution to a complete makeover. Having served 22 years in the military, I took an oath as a commissioned office that I stand by today: ". . . that I will support and defend the Constitution of the United States against all enemies, foreign and domestic; that I will bear true faith and allegiance to the same." Thus, I must speak out against this populace treat to stir up emotions with the intent to destroy our Constitution. While I "may" agree with the intent of the identified constitution amendment mentioned in the email, the real danger lies in the proposed idea of a Constitutional Convention. This keeps appearing with more states signing on! We are on our way! A Constitutional Convention is on the horizon. . . . Governors of 35 states have already filed suit against the Federal Government for imposing unlawful burdens upon them. It only takes 38 (of the 50) States to convene a Constitutional Convention . . . .
For too long we have been too complacent about the workings of Congress. Many citizens had no idea that members of Congress could retire with the same pay after only one term, that they specifically exempted themselves from many of the laws they have passed (such as being exempt from any fear of prosecution for sexual harassment) while ordinary citizens must live under those laws. The latest was to exempt themselves from the Healthcare Reform ... in all of its forms. Somehow, that doesn't seem logical. We do not have an elite that is above the law. A Constitutional Convention - this is a good way to do that. It is an idea whose time has come. And, with the advent of modern communication, the process can be moved along with incredible speed. There is talk out there that the "government" doesn't care what the people think. That is irrelevant. It is incumbent on the population to address elected officials to the wrongs afflicted against the populace...you and me. Think about this . . . . The 26th amendment (granting the right to vote for 18 year-olds) took only 3 months and 8 days to be ratified! Why? Simple! The people demanded it. That was in 1971...before computers, before e-mail, before cell phones, etc. Of the 27 amendments to the Constitution, seven (7) took 1 year or less to become the law of the land...all because of public pressure. . . . The above email is designed to mislead people. It is meant to lead them to believe that they could call for a Constitutional Convention which would make only this one constitutional change. Then we would have this amendment to the Constitution which would keep those rascals in Congress in line and we would all be better off. The progressives, a lot of liberals, and radical groups would love readers to believe this. Why? Because it is not true and they have an agenda. If a Constitutional Convention were legally convened, its delegates would have absolute authority without oversight by anyone outside of the convention. The delegates would create a new Constitution to replace the present Constitution. Do you believe that such a Constitution would be as well founded and as wise as the one creased by our reasoned founders? Most likely, we would cease to be a Republic. Note these words in the email, "incumbent on the population to address elected officials to the wrongs afflicted against the populace...you and me." Those words are pandering to emotions without the email explaining the ultimate outcome. It wants you to start thinking about a Constitutional Convention. There are other emails and venues promoting the same idea. To reiterate, a Constitutional Convention would have no legal oversight and could eliminate or modify any or all of the bill of rights. They could eliminate those "nasty "NOTs" which presently limit the authority of the Federal government and establishes boundaries to their interfering with our lives. Also, new rights or restrictions on citizens could be established. While laws can and have placed restrictions on American citizens, they presently can be challenged under the present Constitution in court or repealed by Congress. The Constitution was meant to stand the test of time until the United States of America ceased to be Republic. Are we ready to surrender our Republic? The Convention could add all kinds of new populace elements. I have heard students at a local university (and they all vote) claim that every person should be guaranteed a free college education. Also consider that there are a lot of people out there who believe that your property should be open to their use. And, on it goes. Most likely, one major change would be changing the process of electing a president by eliminating the Electoral College. If this ever happens, it means that the major cities and a few states would solely determine who would be president. Consider that the majority of those who are on welfare and other subsidies reside in these cities and states. Thus, they would only elect a President who was supportive of more government handouts and funding their programs with other people's money. There is already a movement which advocates that state legislatures agree to join together with other states and to cast their electoral votes according to the popular vote outside their state and not according to the vote within their state. Our forefathers provided the Electoral College to give each state balanced representation in electing a president. After a Constitutional Convention, we could even find ourselves with another form of government, maybe a Parliamentary form or a government with less checks and balances. The present concept of three branches of government (Congress, the Court System, and the Executive Branch) could all be eliminated. Our unique Constitution and our present system of government could be wiped out without recourse. We could wind up with unrestricted government and no bill of rights. An unrestricted government could be unleashed to drag us further into socialism or a dictatorship. The new Constitution could even recognize Sharia law or International law. Ask yourself, "Why do liberals love the idea of a "constitutional convention?" Did you notice the line in the email, "I truly don't care if they are Democrat, Republican, Independent or whatever. The self-serving must stop." This could be a line right out of the progressive's playbook. The hidden agenda of the email was not to promote the amendment but to encourage people to move toward a constitutional convention. A place where others espousing goodwill will have the opportunity to argue away the current Republic, the protection of our rights and freedoms, and the checks and balances that our forefathers gave us. There exists a need for documented arguments / responses on this and other subjects relative to the Constitution. People need access to "right minded" information so that they can make sound decisions and fend off with confidence bogus ideas and communications designed to entrap citizens who are angry with the actions and behavior of their government. Threats like those identified above should be addressed in position papers by think tanks like The Heritage Foundation and The Curtis Coleman Institute for Constitutional Policy. However, each of us bears a responsibility to educate ourselves. Listening to friends and discussing issues within groups may be interesting, but, it can also lead to "group think" when not grounded in truth and facts. A good starting place is for citizens to read the source documents of our founding fathers and the various debates and changes over the last 223 years since the close of the Constitutional Convention. 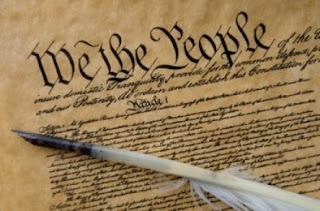 In 2012, we will celebrate 225 years of our present Constitution. We will also participate in the pivotal 2012 elections. Please commit now to reading the U.S. Constitution. Then, consider reading your state's constitution. Let's not chance false ideas of rewriting the U.S. Constitution. Let us hold our elected officials accountable to the Constitution that they swore to uphold. Dr. Bill Smith is a retired Air Force officer and former director of the $2.2 Billion European F-16 Co-production Program. He is a retired professor and is the editor of the ARRA News Service, Blogs For Borders and Conservative Voices. 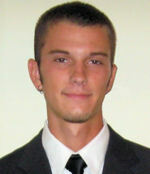 He is a conservative political activist, writes for several other sites and can be followed on Twitter (@arra). Tags: Constitution, Constitutional Convention, amendments, defending, threats, email, freedoms, rights To share or post to your site, click on "Post Link". Please mention / link to the ARRA News Service. Thanks! Take Action Now To Stop Dream Act During Lame-Duck Session! NumbersUSA: Pres. Obama has called for passage of the DREAM Act Amnesty during the lame-duck session. According to a press release issued by Rep. Nydia Velazquez (D-N.Y.), she's urging House Speaker Pelosi to hold a vote on Nov. 29 - the Monday Congress returns from Thanksgiving recess. There are two actions: 1) Send free faxes to your Members of Congress & President Obama and 2) Call your Reps and urge them to vote NO on DREAM. The Capitol Switchboard number is (202) 224-3121 or you can find their direct number here. For more information on the DREAM Act, download our Fact Sheet (pdf file). Tags: Lame Duck, Congress, dream act, amnesty, illegal aliens To share or post to your site, click on "Post Link". Please mention / link to the ARRA News Service. Thanks! Tags: Whitney Phipps, Amazing Grace, Just the Black Notes, grace, redemption To share or post to your site, click on "Post Link". Please mention / link to the ARRA News Service. Thanks! Tags: Michael Ramirez, cartoon, political cartoon, TSA, War On Terror, Constitution, 4th Amendment To share or post to your site, click on "Post Link". Please mention / link to the ARRA News Service. Thanks! The pilgrims chanted anti-US and anti-Zionist slogans during the ceremony also attended by the Supreme Leader's representative for Hajj affairs, Hojatoleslam Ali Qazi-Asgar. 'God is the Greatest', 'Death to Israel', and 'Death to America', were among slogans chanted by the masses in unison as they gathered in the Desert of Arafat, 20 kms (12 miles) from Mecca, for a day of prayer and meditation. The faithful - men clad in two-piece seamless white shrouds and women all covered except for their hands and faces to symbolize equality -- converged on Arafat. A message by Supreme Leader Ayatollah Ali Khamenei for the Hajj pilgrims was also read by Qazi-Asgar during the ceremony. CAIR SUES TO FORCE SHARIA LAW - Almost 70% of Oklahoma voters approved the "Save Our State Amendment," which required that judges not consider non-US laws or sharia law in determining the outcome of cases before them. The Council for American - Islamic Relations (CAIR) immediately filed a lawsuit to stop the implementation of the law. If Muslims do not intend to overturn the Constitution of this nation and install Islamic law, why would they file such a suit? The answer is simple and that is that most Muslims in the United States do not respect our laws and want to replace them with Islamic laws that all Americans would be forced to adhere to. MICHAEL MOORE WANTS 111 STORY MOSQUE - Leftwing nut job and radical movie producer Michael Moore has his insanity on display for all to see at his blog page. This week he promoted moving Feisal Rauf's mosque from its proposed location to the actual site of the Twin Towers. He also proposed building a 111 story mosque, taller than Freedom Tower, at the current location chosen by the mosque promoters. His logic sort of falls in line with that of George W. Bush, that Islam is a religion of peace and we must help them overcome the image of Islam as a terrorist based religion. NOTE: In the last week there have been 30 Islamic terror attacks in 12 different nations with 83 dead and more than 200 severely wounded. Tags: William J. Murray, Religious Freedom Coalition, Obama. Muslims, the Haj, CAIR, lawsuit, Oklahoma, Sharia Law, New York City, Mosque, Michael Moore To share or post to your site, click on "Post Link". Please mention / link to the ARRA News Service. Thanks!